Please also be sure to stop by our table and sign our HITMC banner (we are Table #1). Help us show how COLORFUL our #HITMC community is! Let’s get this out of the way first. Sure, there’s a ton of hype around it and you’ll be among throngs of tourists. 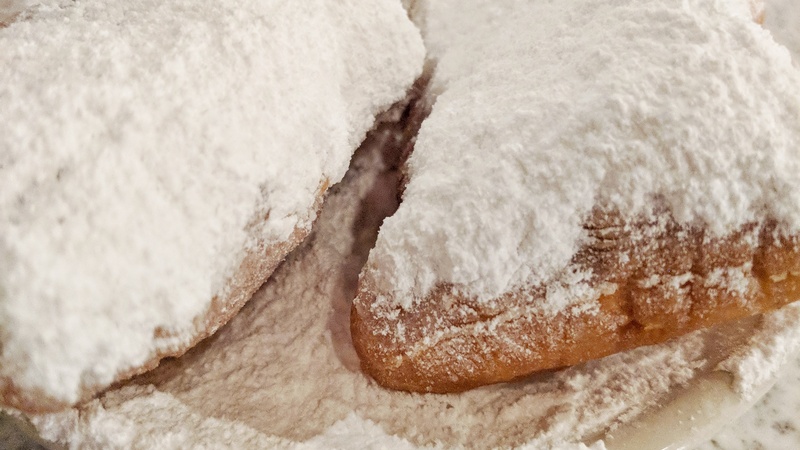 But you can’t go to New Orleans without trying a fresh-from-the-fryer beignet piled high with powdered sugar. (Calories don’t count on vacation. That’s science.) It’s within walking distance of the conference, and it’s open 24 hours, so there’s really no excuse to miss out. 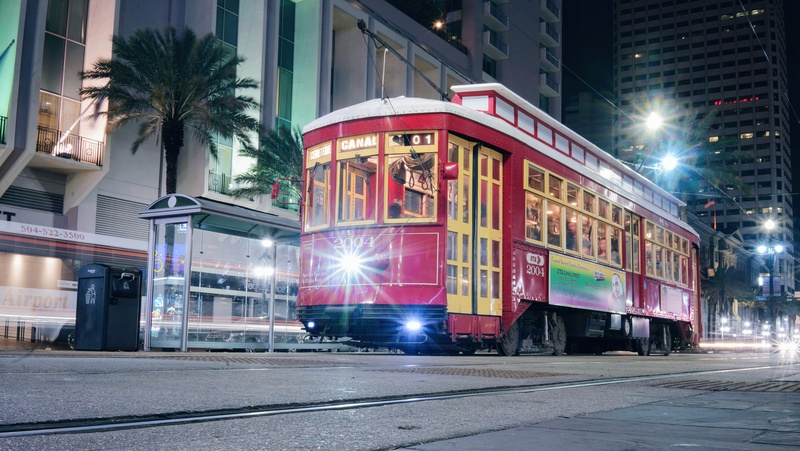 Just $3 will get you a 24-hour hop on, hop off pass to ride the Streetcars. There are stops all over, including right outside the conference. Sit next to an open window and take in the sights. Here’s some info if you’d actually like to plan a destination, but that’s really not even necessary. Bonus: If you ride the Streetcar to the last stop, you can watch the ceremony of the car switching directions. 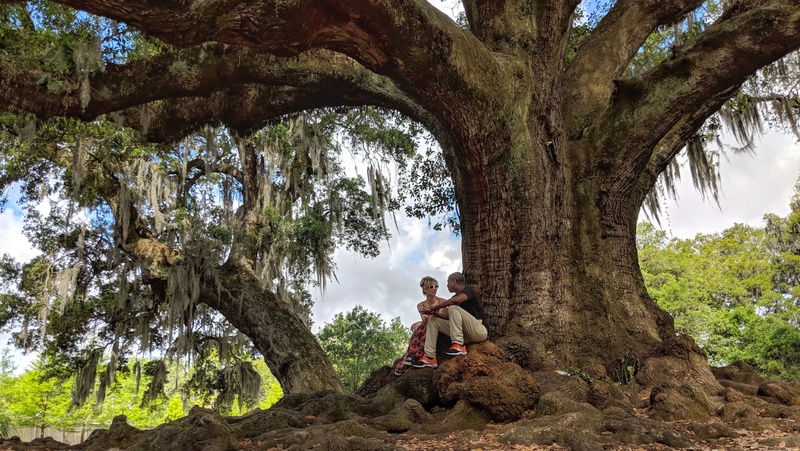 It’s estimated that this giant Etienne de Boré Oak was planted in 1740. The base is about 35 feet in circumference, and the winding branches reach out about 160 feet. It is truly a sight to behold. You can get up close and personal with it -- sit on a root or, if you’re feeling very intrepid, climb up a few branches. It’s located in the famous Audubon Park. If you keep a keen eye out, you’ll probably see a giraffe or two roaming around the nearby zoo. If you want to have a drink on a balcony while you’re in New Orleans, we recommend this bar. It looks an unassuming hot dog joint, but the drinks are strong and the view of Frenchman Street can’t be beat. Star Wars and Douglas Adams fans will appreciate the larger-than-life sculpture behind the bartender on the second floor. 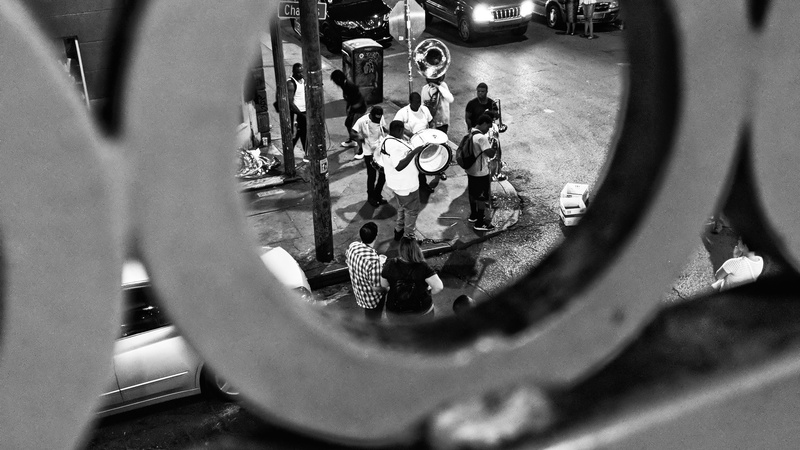 The amazing Young Fellaz Brass Band usually plays on the corner just below, so you can enjoy your drink and / or alligator hot dog (yup, that’s a thing) while you take in some of the best street music NOLA has to offer. Vegan sausage options also available. This is the gold standard for dueling piano bars. Don’t go home without stopping in. Come prepared with a few dollars and a list your favorite songs. These piano players know everything from “Livin’ on a Prayer” to “Baby Got Back,” and adding your choice to their pile with a little tip helps move it to the top of the playlist. 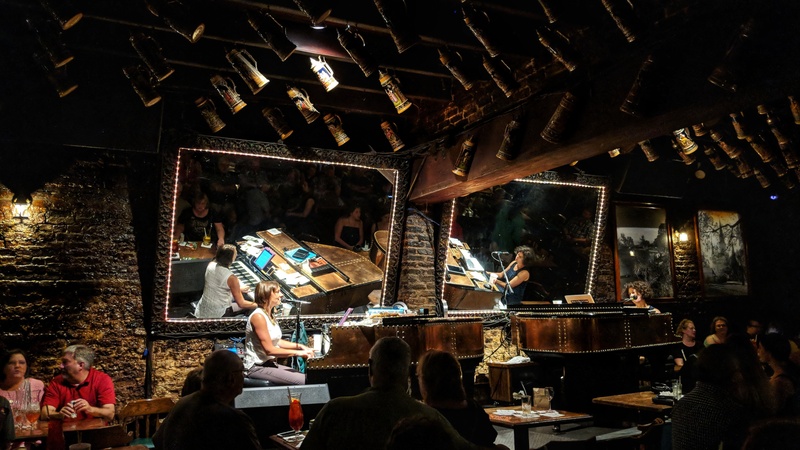 The huge mirrors angled above them allow you to see their fingers flying across the keys, and it’s not uncommon for the whole bar to join in singing when a well-known song is played. To get here: you must go through the Pat O’Brien’s outdoor courtyard dining area and hang a left. It’s tucked into the back. Rushed but friendly staff running past can help direct you if you get a little turned around.